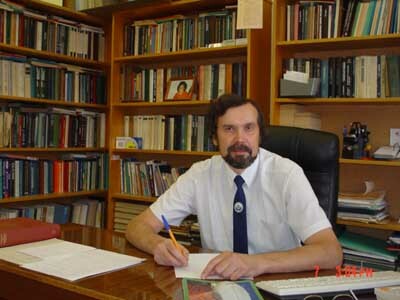 The head of the laboratory is Nikitin E.D., Doctor of Physics and Mathematics. The laboratory was created in 1973. Laboratory staff: 11 persons, including three Doctors and four candidates of Physics and Mathematics, three post-graduate students and one engineer. The previously-unknown phenomenon of shock boiling-up on nuclei of fluctuation origin has been revealed. A theory unambiguously relating the value and the form of a thermal boiling-up signal in the shock regime with the liquid properties has been elaborated. The phenomenon of explosive boiling-up of polymers by the mechanism of fluctuation origin of bubbles has been revealed. A shock dilation wave has been discovered at fluctuation nucleation in a metastable (presonic) flow of liquid. A study has been made of the instability of an open surface of a highly superheated liquid excited by the reaction of vapor yield. Measurements have been made of the limiting-superheat temperatures of substances at negative pressures to – 10 MPa and a heating rate of 107 K/s. The phenomenon of “healing” of cavitation centres has been revealed. For the first time experimental data have been obtained on the critical parameters of a number of motor fuels, marketable petroleum products, petroleum-gas systems. New methods have been suggested for controlling explosive boiling-up by regulating fluctuation boiling centres.